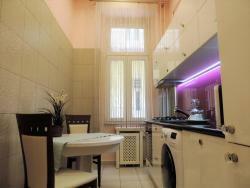 In Akadémia street, the heart of Budapest, we are offering a luxury 2 room apartment for sale! 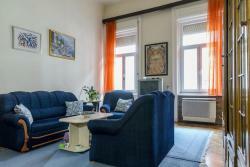 The location couldnt be more perfect: one minute walking distance from the Danube, the Parliament and the Liberty Square. The building is in great condition and also has an elevator. The flat is 53 square meters (on paper), but in reality its 60 sqm. Everything from the inside out was freshly renovated, including the mechanical details like the wiring in the walls, the doors and windows. The furnitures are all of high quality and are included in the price (for example the jacuzzi in the bathroom, or all the kitchen equipment like the oven and the fridge). 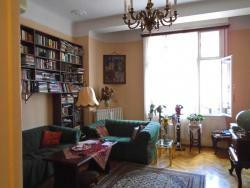 The apartment is rented out long term at the moment, for a good price. 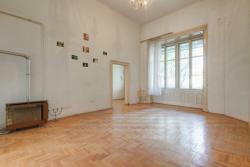 The tenant would like to stay if the new owner has similar purposes, but is also willing to move out in a short time. If you would like to know more details or want to take a look at it, please sent message for me. Thank you!